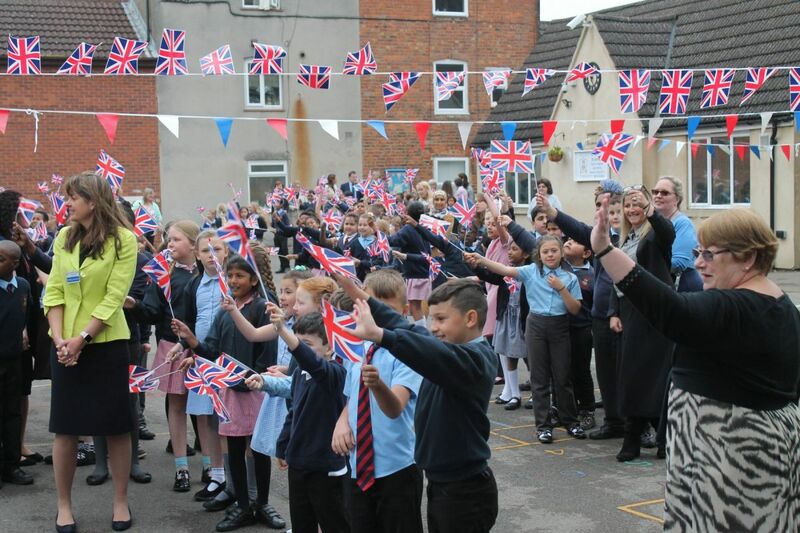 Children, staff and governors of St James’ C of E Junior School were proud and excited to have been visited by HRH Duchess of Cornwall on Thursday, 24th May. 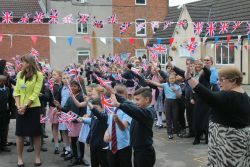 The Duchess met a group of children, read a passage from one of her favourite children’s books, spoke with members of the St James community and unveiled a commemorative plaque before leaving school. Jady, aged 10, was delighted to have been chosen to present HRH with flowers. 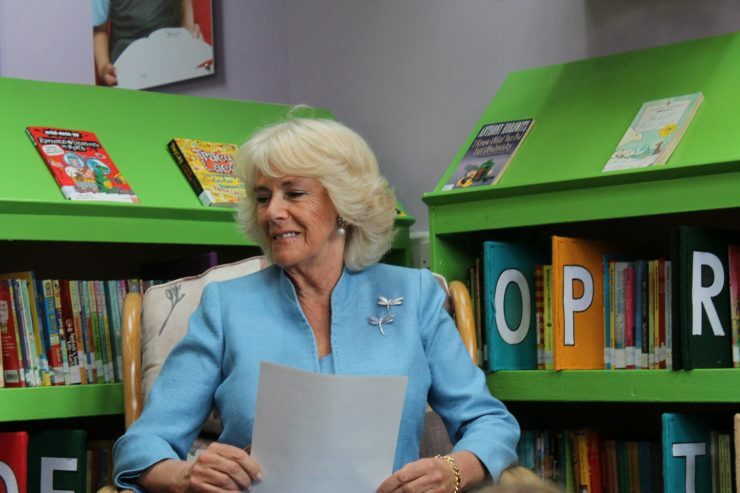 HRH is Patron of Beanstalk, a volunteer readers’ programme. Beanstalk volunteers have been working with a group of children who did not choose to read during their spare time. These children are now reading for pleasure and will happily sit in Breakfast Club with their books. One child chose a book as his Golden Ticket prize. In addition to an enjoyment of reading, these pupils have gained confidence and attendance has improved.